All too often, businesses that purchase scales are caught between a rock and a hard place. If you wanted a precise, high resolution scale, you needed to purchase a scale that could only weigh small capacities. If you wanted to weigh larger capacities, you had to purchase a different scale that could handle the extra weight and sacrifice the resolution. Most purchasers really only wanted to purchase one scale as opposed to having to buy two to handle the different tasks. Unfortunately, in the past, the technological barrier to this was too high. Arlyn Scales in Long Island, New York has been a leader in the scale industry for the past thirty years. We have been a leader because we are constantly searching for new ways to improve our scales. Whether it’s improving the design of the scale frame and platform or creating new technological innovations, we always research, experiment, and reconsider the design of our scales whenever we have a new breakthrough. The manufacturing of our scales occurs in our factory that is conveniently located within our company main offices. This allows us to save our customers a significant amount of money by shipping factory direct to them and cutting out the middlemen and their associated costs. The money we save allows us to sell our customers the highest quality scales at the lowest possible prices, which the competition just can’t beat. Before we can really understand how our new Ultra Precision design provides higher resolutions and better results, we must first understand the other technologies available. Strain gage load cells have been the industry standard for over sixty years. Strain gages are wired together to form a Wheatstone’s bridge and adhered to flexures, which are bonded to the spring element of the load cell. The spring element is the precision machined piece of metal that is attached to the underside of the scale’s platform and then to the scale’s base; when a load is placed on the platform the spring element bends. When the spring element bends, the flexures and strain gages bend, which creates a change to the electrical resistance in the gages. The voltage output of the bridge changes as the resistance of the gages changes. However, this is an analog signal that must be passed through an Analog to Digital converter so the signal can be read and numerically displayed by the digital indicator. Most scale distributors outsource the design and construction of their load cells, but this is a mistake. As is generally the case, the most inexpensive materials are used in construction, and in this case it’s usually aluminum. Now, aluminum has its place in scale construction, but does not work well with strain gage load cells. This is because the spring element must be thin enough to allow the flexures and strain gages to bend. However, a metal like aluminum, coupled with this thin design, leaves the load cell vulnerable to damage from shock and overloading, as well as drifts in accuracy due to lateral forces and temperature, especially at higher capacities. We manufacture our load cells in-house using stainless steel. This increases the accuracy and durability of our scales, leaving them less subject to distortion. However, no matter how well they are constructed, the dichotomy between resolution and capacity remains. While higher resolutions are possible at lower capacities, they decline as the capacity increases. 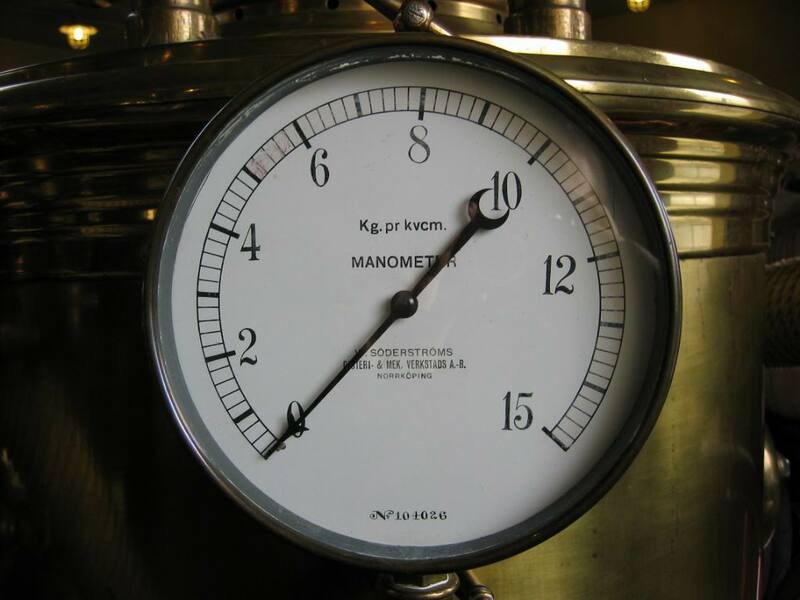 Before we introduced our Ultra Precision line of scales, the only viable alternative to the strain gauge scale was using force motor technology. Typically, this technology was deployed through a magnetic force restoration (MFR) scale. It measures the weight of the load on the platform by using electromagnetic force to oppose the weight. The weight measurements on this type of scale are very accurate with a higher resolution. However, there are some issues to be found with this solution. MFR scales are subject to drifts in accuracy due to temperature and air currents. 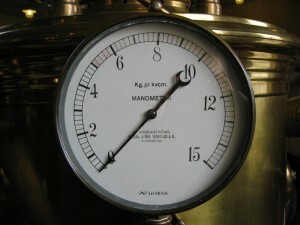 While the resolution is somewhat higher for larger capacities, the overall capacity limits of MFR are still relatively small, a practical maximum of about fifty pounds. The biggest drawback to MFR scales, however, is their price. Expensive to purchase and operate, MFR scales are not a cost effective solution for most businesses. Our line of Ultra Precision scales addresses these design vulnerabilities, delivering precision at higher resolutions and capacities using Surface Acoustic Wave (SAW) technology. Two transducers are attached to opposing sides of the spring element of our SAW load cells; one is a transmitter and the other a receiver. The receiver detects the SAW wave being transmitted, which is then amplified and sent back to the transmitter. This happens on a continuous basis. The frequency of this wave depends on the distance between the two transducers. When an object is placed on the platform, the distance increases and the frequency of the wave changes. By digitally measuring this frequency, we are able to determine how much weight has been applied to the platform. With capacities as high as 500 pounds and resolutions as fine as .0001 pound, SAW load cells are inherently more accurate than strain gage scales and there is no need to convert an analog signal into a digital one. Manufactured using a special metal alloy, which was chosen for its hardness, spring characteristics, lack of plastic deformation, and temperature performance, SAW load cells are more stable over time and less affected by changes in temperature, unlike MFR scales. They are also far more affordable than MFR scales, hovering in the price range of a higher-end strain gage scale. Unless you know exactly what you’re looking for, selecting a scale can be a daunting task. However, Arlyn Scales provides some of the best customer service and support in the business. We’ll get to know your unique environment and help guide you to a scale that has all the features you need and none of the ones you don’t. Whether you need a reliable strain gage scale or a high capacity ultra precision scale, we’ll answer all you’re questions and make sure that our solution fits your budget. If our standard models don’t meet your needs, don’t worry! Since we do all of our own manufacturing, we can design and build a custom solution just for you. Whether you have unique products or workspace, or need to fit a scale into an existing production line, we’ll fix you up with the best solution available. To learn more about our available technologies or to start the selection process, fill out our form on the Contact Us page of our site or give us a call at (800) 645-4301.